Most small businesses and even non-profits know they need to be on Social Media these days. Businesses often need a clear picture of social media best practices to know where to start and how to move forward with their work. The temptation to outsource your Social Media presence to a third-party is understandable, but make sure they can speak to all of these areas as well. When in doubt, ask for a documented strategy for their work and most importantly, proof of their effectiveness in gaining you new customers. Understanding your Social Media strategy is vitally important because simply “doing social media” can mean so many and so few things at the same time. Understanding your business or organizations use of Social Media goes back to overall organizational goals. Are you trying to obtain new customers, support current customers, build buzz, or understand your business community. All of these things can be accomplished in Social Media, but not all are vital to your business model. Social media should serve documented business goals. Start by forming three to five succinct goals for your social media strategy. Write them down and refer back to them whenever you have questions about what comes next. Here are some sample goals. Drive new visitors to a specific landing page on your website. Advertise to single parents in a 50 mile radius. Reach friends and connections of our current clients. Facebook – Set up a Company or Organization Page. Remember that you need to use your own Facebook account to set it up, but you can still publish as a company later on. Choose a good logo for your page as well as an interesting banner image. Follow Facebook prompts to add a Call to Action button if relevant and always click into the About page to add contact and description details. Instagram – Instagram is for visually interesting content. If you don’t deal in a visually interesting product or service, you might want to hold off on Instagram. The platform continues to grow, but keep in mind there is still no way to post links to your website except when using paid features or the single link in your profile. Twitter – Despite waning excitement around Twitter, their user base is still significant and often more engaged for B2B and specific markets. Understand whether your customers typically engage on Twitter before spending too much time there. Pinterest – Once again, Pinterest content is visually driven and often requires intentional graphic design to be effective there. Set up your profile and create different boards to represent the interests of different customer groups. LinkedIn – A B2B no-brainer, having LinkedIn set up is highly recommended. Go ahead and create a company page, but be sure to understand the limits of reaching an audience through a company page vs. through personal profile postings and articles. This is a similar dynamic on Facebook with the limited reach of pages (sometimes as low as 1% of your followers). Follow all of LinkedIn’s prompts and just be prepared to deal with all of the emails from LinkedIn. An incomplete profile can do you more harm than good on LinkedIn. Now that you have chosen the platforms to work with, start forming what kind of content to publish there. Do you have existing resources to work with? A photo library? Customer reviews? White papers, success stories, product info sheets, press releases? All of these can be leveraged toward your social media content planning. Keep in mind the most effective content tends to be Video, Photo, Links, and text in that order. The most effective content tends to be Video, Photo, Links, and text in that order. Once you understand what kind of content your will be producing, it is also good to understand whether that content should live in social media or live on your website first and foremost. This depends on the role of a particular piece of content in relation to your goals. Is the content meant to pique interest or seal the deal? Anything conversion focused (final decisions) should likely be on your website to reduce distraction and provide additional tools for lead capture, re-targeting, and data collection. As a rule, most original content should live on your blog, website, or landing pages in addition to social media. 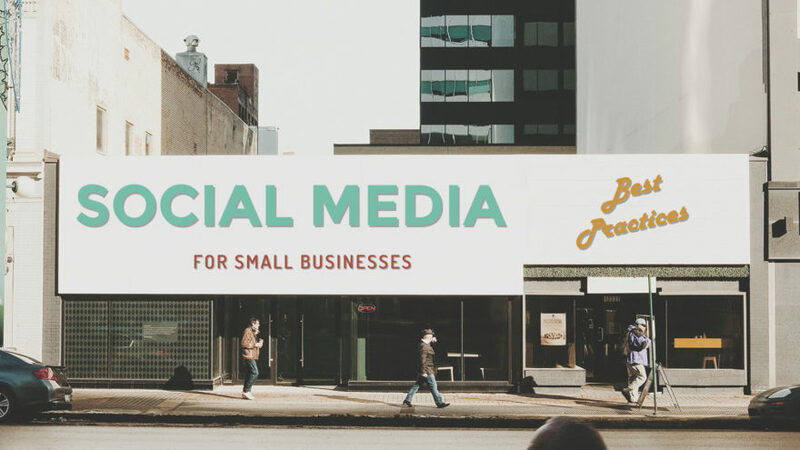 When social media was first being leveraged for business, the prospect of an exponential reach from your customers to their friends and beyond was compelling. In reality, your access and reach to those exponential audiences requires significant engagement through post likes, shares, and comments. The algorithms of most social media platforms are engineered to reward interesting and engaging content. The most engaging content educates, inspires, and entertains and encourages viewers to share with others. Is your content like, comment, or share-worthy? If not, go back to the drawing board and structure your posts a bit differently, watching your stats to see what works. The most engaging social media content educates, inspires, and entertains. Even managing two different social media platforms can be difficult. I recommend utilizing a tool like Hootsuite to manage posting to multiple platforms and monitor feedback. This should make your life much easier if are not as at-home in every platform. Keep in mind that not all content performs the same way in every platform, so even when you use one tool for management, be prepared for individual attention where needed. While some platforms come with robust analytics features, most are not focusing on tracking the customer after landing at your website (paid advertising tools like Facebook’s tracking pixel do this). In order to better understand what is happening to all of that activity in social media after clicking through to your website, you need to have something like Google Analytics configured to track their behavior. Beyond this, configuring conversion goals, leveraging tools like the URL builder for campaign specific tracking, and knowing what traffic is worth analyzing requires a bit more attention. The most important measurement of any of your activity in social media is your Return on Investment, or ROI. You need to factor how many hours you put into content creation, management, employee salaries, monthly subscriptions, or paid ads as an aggregate cost before you can truly understand the I in ROI. Many folks also don’t know how to figure the “R”, meaning they don’t know what a typical customer is worth to their business. Once your costs and profits are clear, simply divide them to understand what percentage of return you received. Over 1 (100%) if ROI positive and it means you at least broke even. Continue to reach for higher ROI through reviewing your analytics and improving your management and content production practices and soon you’ll have a well-oiled social media marketing machine. There is so much more to do once you engage with each platform in Social Media. These social media best practices are often unique to your business goals, customers, and platforms, so we are unable to cover them all here, but look for our marketing coaching services to launch this fall for more information and resources. In the meantime, don’t hesitate to reach out for assistance.